We are a manufacturer of packaging and printing company, based in Golędzinów near Wrocław. 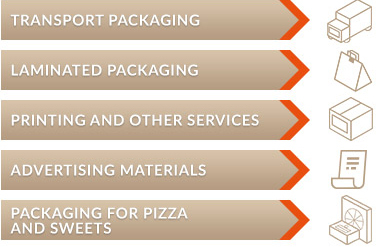 We have been in the packaging industry since 1990. Since its inception, our company has been engaged in packaging production and in this field we have been growing by investing, upgrading technologies and improving the quality of our products. Based on the latest technologies, knowledge and experience gained over many years, our company can successfully meet all expectations of our clients – directly and without intermediaries. Our specialized personnel monitors every detail of the packaging, at every production stage, so that the finished product is of the highest quality.